The Department of Housing and Urban Development has posted the Fiscal Year (FY) 2019 Income Limits. Income limits are used by a variety of programs across the federal government. Last week, HUD published a notice titled “Implementation of the Federal Fiscal Year (FFY) 2019 Funding Provisions for the Housing Choice Voucher Program“; PIH 2019-08. This notice implements the funding provisions of the Housing Choice Voucher (HCV) program in the Fiscal Year (FY) 2019 budget. Total HCV Appropriations – $22,598 million. 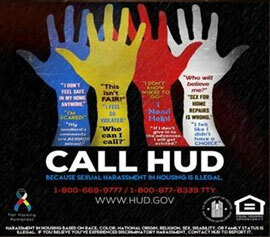 Offset – HUD will perform a “small offset” to ensure that the national HAP proration is at or above 99.5 percent. Detailed calculations of the offsets will be provided to PHAs in the renewal allocation enclosure. Offsets will come from “excess” program reserves. TPVs – HUD will provide TPVs for vacant units that were occupied within the previous 24 months of certain public housing and multifamily housing actions and are no longer available as assisted housing (subject to availability of funds). Blended and Higher Admin. Fees – Applications for blended administrative fees (for PHAs serving multiple administrative fee areas) and higher administrative fees (for PHAs that operate over a large geographic area) are due by Friday, May 31. Special Fees – $30 million in funding is available for HCV homeownership fees; special fees for PHAs that administer TPVs in connection with multifamily housing conversion actions; special fees for portability (the receiving PHA will receive 12 months of funding equal to 15 percent of the PHA’s 2019 Column A rate for administrative fees; while HUD supplies these fees automatically, HUD advises PHAs to make sure accurate PIC data is entered by May 15, 2019); special fees for certain audit costs; and special fees for administrative costs related to administering the HUD-VASH program. Mobility Demonstration – the Department will publish a Federal Register notice to implement that mobility demonstration and announce the competition for funding. Set-Aside Funds – $100 million will be reserved for shortfall funds (no due date); unforeseen circumstances (application due date May 31, 2019); portability (application due date May 31, 2019); project-based vouchers held from use during re-benchmarking (application due date May 31, 2019); and certain instances of HUD-VASH voucher usage (application due date May 31, 2019).